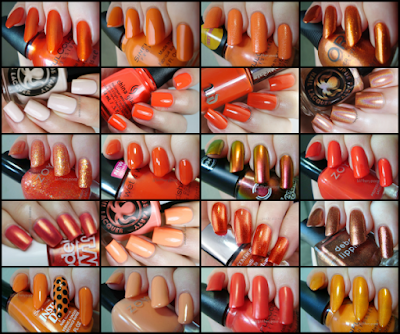 When we started blogging, I don't think either of us would have gone anywhere near orange polish. That's been one of the best parts of swatching. You can find yourself enjoying colors you used to hate. Unless it's me and pink. That will never change. To view the complete Orange archive, click here or on the collage below.